This Isn’t at All What I Had in Mind! When I was a junior in high school, the theater department put on a production of My Fair Lady. I tried out for the play but was not cast. I still wanted to participate, so I volunteered to help build the set for the production. The high school I attended had a very well-funded theatre department and was known in the community for putting on productions of high quality. The props department had at its disposal literally thousands of wardrobe items, in addition to many tools and construction materials. I thought it would be fun to help create a beautiful set for the production, even if I wasn’t going to be in it. As rehearsals for My Fair Lady kicked off, I volunteered to work with the set designer one Saturday to help build the large props and backdrops. A few other students agreed to come as well, but I was the only one to show up that day. After doing some fairly basic tasks like screwing together large planks of wood and painting canvas backdrops in uniform colors, the set designer asked me to construct a large gazebo. Given what little experience in construction I had, the task felt pretty far outside of my comfort zone. However, because so much needed to get done and no one else had shown up to help, I agreed to give it a try. I pressed the set designer on what he expected the gazebo to look like. However, my attempts to get clarification were met with his reassurances that I would be just fine on my own. I nervously set about gathering planks of wood, trellises, and tools to begin work building the gazebo. After several hours of working on the gazebo, the set designer made his way over to me and delivered his verdict—the gazebo I was constructing didn’t even begin to approximate what he wanted. “This isn’t at all what I had in mind,” he said, and then he firmly explained what he wanted the gazebo to look like in a way as if I was supposed to know how he wanted it to look in the first place. I listened to his instructions very carefully and rebuilt the gazebo. After a full day of work, I had nearly completed the gazebo. Much to my relief, the set designer was satisfied with my work. The performances of My Fair Lady went off without a hitch. I was proud of the contributions I made, as the gazebo featured prominently in the play. The set designer for my high school’s theater department was an extraordinary man who cared deeply for students and enriched their high school experiences with his passion for teaching and theater. However, being a good human being didn’t prevent the set designer from falling into the ambiguity paradox. The ambiguity paradox is a trap people fall into when they assume that a lack of specificity allows for creative freedom when it actually stymies creativity. The paradox is that in leaving things ambiguous without the proper context for the ambiguity, people tend to feel paralyzed by indecision and lack of direction. While ambiguity has the potential to cause confusion, it can be productive. The power in productive ambiguity is that a lack of specificity can remove preconceptions, biases, and predispositions that tend to limit people to rote thinking. We have been trained from a very young age that there’s usually one right answer to a question and one right way to get there. By removing this construct of absolutes, we can tap into the reservoirs of creativity to come up with novel and unique things and ideas. The arts are an especially good example of this paradigm of thinking. In fact, it may be said that what distinguishes art is the fact that it is a product of thinking that is unbound from the construct of absolutes. To demonstrate this point, take the example of color-by-number; this is the very definition of performing a task based on a predefined action with no room for personal interpretation, and the outcome is not art. Taking it a step further, one could be given directions to use water colors on an 8x10 piece of canvas to paint a bowl of fruit sitting on a table that contains one pear, three apples, and two oranges. While there is a bit more room for interpretation with these instructions, the painter is still confined to a fairly narrow set of options. Is the outcome art? Maybe. Now consider a scenario in which a person is given directions to create a depiction of fruit. That’s it. No limitations on the medium. No restrictions on the type of fruit. Nothing. Every person to whom these ambiguous instructions are given will come up with a unique depiction of fruit according to his/her own imagination and creativity. The more ambiguous the task, the more potential there is for unique outcomes. In other words, there is an inverse relationship between the level of direction given and the uniqueness of the output. So how is this relevant to work? If you are in a position of authority to give directions, it is crucial that you have sufficient self-awareness to know in advance how comfortable you are with an output that might not match exactly what you have in mind. This can sometimes be a challenge for people, and it plays out at work all the time when people are given little direction only to be met with rejection once they have turned in their product (i.e., “This isn’t at all what I had in mind!”). But the fact is that it is sometimes difficult to tap into what it is you want, which can lead to giving little direction and then placing the blame at the feet of the person who was tasked. This is a lose-lose scenario. If you want to maintain control of the output but cannot articulate what you want, do not risk it on the off chance that someone will come back with something that is magically satisfactory to you. I have seen this taken to the extreme when I had occasion to work with an individual who considered it a mark of distinction and maturity in people when she gave them little or even no direction with the expectation that they would intuit exactly what she wanted and provide an according output. If you really feel you need to maintain tight control over the outcome, then let people paint by numbers (i.e., the usually unproductive, unhealthy and unsustainable "shut up and color approach" to work). Don't assume people can read your mind. This dynamic will likely be highly unstimulating for the painters as they are deprived of autonomy, creativity, and trust, but at least, you’ll have moved from a lose-lose to a win-lose. So how do you get to a win-win? As stated above, if you’re in the position of tasking individuals, get in touch with what you really want. I like to use the example of sailing to an island to illustrate how to achieve a win-win that allows people to explore and unleash their imagination and creativity while also satisfying the desired outcome. Imagine you’re standing on a shore and can see dozens of islands across the strait in the distance. From the beach, you can see one of the islands is flush with coconut trees. You want those coconuts harvested. However, in order to get there, a vessel has to be built and navigated across the strait, and the coconuts have to be collected and then brought back. There are hundreds of ways this task can be accomplished. The key is that you’ve articulated what you want: coconuts. Now here is your chance as a leader to unleash the creative and imaginative capital of people and support them. “In the distance, there is an island right there. I want the coconuts from that island.” Then you step back. While you’ve provided some guidance and a clear objective, the means of completing the objective are left up to those whom you’ve tasked. This is productive ambiguity. Is productive ambiguity always the best way to get the job done? Unequivocally no. The amount of ambiguity associated with a task should be contextual. The higher the stakes, usually the lower the ambiguity, and the lower the stakes, the higher the ambiguity can be. Crisis management is a scenario in which the stakes are very high and call for a command-and-control leadership approach, leaving very little if any room for ambiguity and requiring a high degree of compliance with orders from leadership. As the stakes get lower, there is more space to introduce productive ambiguity. But this often does not happen because of the absence of two things: trust and context. Stephen Covey describes trust as being a byproduct of observing and being satisfied with the combination of competency and character that a person exhibits. Patrick Lencioni talks about vulnerability-based trust, which allows people to open up to each other by sharing the less-than-perfect parts of themselves. These are both useful takes on trust, but they are descriptions of how trust manifests and not of trust itself. The root of trust is in faith. Faith has a very religious connotation in English. In Russian, the word "trust" is based on the root word for "faith." Faith means believing in something, and believing in something is to hope for it, so it follows that the root of trust is actually hope—a desire for something to be as you want it to be when you choose not to or cannot force the outcome you desire. This is the antithesis of control, which means that trust is actually a function of relinquishing real or imagined control or the desire for control through hope. Relinquishing control does not mean giving up on or abandoning something. Relinquishing control means first coming to terms emotionally with the very limited amount of control you actually have, and second, giving to others some of that little control you do have in the hope not that they will exercise the control in the exact way you would exercise it, but that they will exercise control toward a shared goal or vision. To put it more succinctly, trust is an exercise in hope for action toward a mutually shared goal or vision. In the case of Steven Covey’s definition, that manifestation of trust looks like hope based on observed behaviors. In Patrick Lencioni’s definition, that manifestation of trust looks like hope that vulnerability will be in the service of a bonding over shared and innate imperfectness as humans, without abusing the information that’s been shared. You may choose to withhold trust until you have observed patterns of behavior that give you hope. You may choose to withdraw trust when your hopes have been violated. However, there is no getting around the fact that in order to be an effective leader, at some point, you are going to have to trust, which means you are going to have to hope, which means you are going to have to relinquish some control. As a leader, you simply cannot sustain absolute real or imagined control without eventually compromising productive outcomes. Subordinates cannot sustain the control you impose on them without compromising their well-being. When trust is given, then, and only then, can productive ambiguity exist. The second factor in applying productive ambiguity is putting boundaries around it with context and deliberateness. Boundaries and context may seem antithetical to ambiguity. When you define boundaries and provide context, isn’t that a form of disambiguation? Yes, it is. And this is where the important concept of macro and micro ambiguity comes into play. The macrocosm of an organization must be unambiguous. In fact, the clearer the macrocosm of the organization, the more room there is for micro ambiguity because ambiguity is bound by the larger context. Macrocosmic clarity provides an anchor for people, and there should be no uncertainty about it. The clarity that acts as an anchor for an organization is represented by the beliefs upon which it is built, the values that come out of those beliefs and the organization’s core purpose that is built upon its values. This makes up the “why” element of an organization’s identity. For example, take an organization that is founded on the belief that cybercrime is an existential threat. That belief could lead to a value of employee vigilance, which contributes to the organization’s core purpose of protecting customers from cybercriminals. There should be no ambiguity about the beliefs, values, and core purpose of an organization (i.e., no macrocosmic ambiguity). However, to use the same example, how vigilant behaviors show up in an organization and what people do to be vigilant can have ambiguity around it. Ironically, organizations often do the inverse of this. Organizations often have a vague or fuzzy sense of their foundational beliefs, their values, and their core purpose but are extraordinarily specific when it comes to defining their “hows” and “whats,” which then counterproductively get codified as bureaucracy. Leaders in organizations waste so much time building sandcastles of strategy that have no foundations in basic beliefs, guiding values, and a core purpose. When an organization’s foundation is firm (i.e., it is unwavering in and unambiguous about its basic beliefs, guiding values, and core purpose) and there is an organizational culture of trust, then that enables organizations to create spaces of microcosmic ambiguity about some of the “hows” and “whats” that people will fill in with creativity, innovation, and collaboration, because it is precisely the lack of specificity about the “hows” and “whats” that create an impetus for creativity, innovation, and collaboration. When all the “whats” and “hows” are scripted, the need for creativity, innovation, and collaboration dissipates. In order for microcosmic ambiguity to be productive, there needs to be clarity about the fact that the organization has been deliberate about keeping some things ambiguous. In other words, remove the meta-ambiguity by clearly stating that the organization is leaving some things undefined on purpose and that experimentation is all right. Codification of Lessons Learned from Mistakes: Applying the "Cake Test"
In addition to being deliberate about keeping some things ambiguous and drawing boundaries, there needs to be a tolerance for mistakes. When mistakes happen, people should feel that revealing the mistakes is actually in the service of learning—a very valuable thing. The learning that comes from trial and error can be institutionalized. However, a word of caution: the institutionalization of lessons learned is a primary source of bureaucracy. The temptation can be strong to codify the “hows” and “whats” that come from creativity, innovation, and collaboration. Sometimes, these lessons learned are softly referred to as “best practices.” An organization must strike a balance between living by the lessons it has learned and codifying that knowledge, and allowing for microcosmic ambiguity to exist. To strike this balance, evaluate whether the lesson is responsive to a high-stakes variable and whether codifying it is worth the loss of creativity, innovation, and collaboration related to the specific variable. If the stakes are high and the loss of creativity, innovation, and collaboration, is worth the cost, codification may be all right. But over-codification can lead to an organization so laden with systems, structures, policies, and procedures that it has calcified and can no longer be creative, innovative, and collaborative. To use a culinary metaphor, take the example of cake. Almost all cake recipes use ingredients or preparation techniques to get the batter to rise. There are relatively few tried and true codified ways to get a cake batter to rise, from yeast to baking powder, to whipping air into the batter, to baking soda, etc. That’s the science of baking. But there is literally an infinite number of ways to flavor and decorate a cake, and those things are a matter of taste. That’s the art of baking. So, apply the “cake test” to things you introduce into your systems, structures, policies, and procedures. Are they elements essential to the rise of the batter or are they the frosting on the cake? If it’s the latter, be stingy in codifying. The last factor required for successful application of productive ambiguity has to do with the two oft-uttered phrases that are the kiss of death to developing a culture of creativity, innovation, and collaboration: “That’s already been tried” and “That’s not how we do things here.” How many times did people attempt to fly a powered, controlled, heavier-than-air craft? 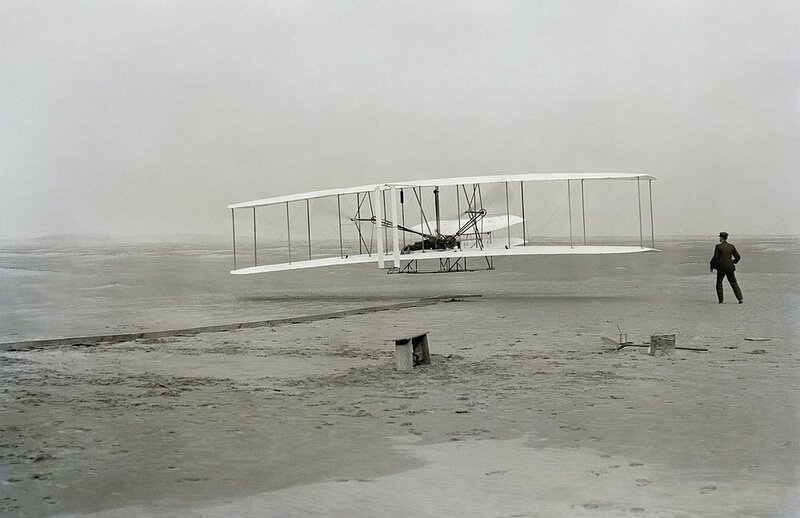 I wonder if anyone ever told the Wright brothers, “That’s already been tried.”, or worse yet that the well-funded, highly-regarded, and government-backed Samuel Pierpont Langley was simultaneously attempting to achieve flight with a powered, controlled, heavier-than-air craft. If so, I’m glad they ignored it, because the two barely high-school educated bicycle repairmen beat Langley. I also wonder whether anybody had ever proposed a new way of renting videos to the top brass at Blockbuster before Netflix and Redbox came along, only to be met with some version of “That’s not how we do things here.” Yep, that’s not how you did it, Blockbuster. And now you don’t do it at all. Back in 11th grade when I was building a gazebo for My Fair Lady, the set designer had in his mind a clear idea of what he wanted the gazebo to look like, but he left it ambiguous, and I ended up building something he didn’t like. If he were willing to give me license to build the gazebo as my own personal creation, his ambiguity would have been fitting. But he had something in mind, and my creation did not meet his expectations. This same dynamic plays out in organizations every day when leaders fail to be clear about what is microcosmic and macrocosmic ambiguity. When an organization is macrocosmically solid (i.e., its basic beliefs, values, and core purpose are clear), it opens the door for productive ambiguity in the microcosm, which unleashes creativity, innovation, and collaboration among people—it taps into and releases people’s full potential. This is the secret ingredient that allows organizations to be nimble and respond to internal and external changes in the environment while also allowing people to self-actualize.